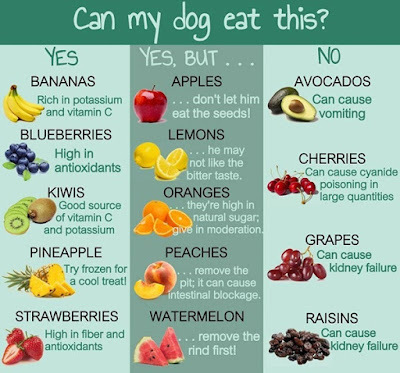 What is the best fruit for my dog? Can I give my dog bananas? Can I feed my dog with pineapples? What happens if my dog eat grapes? Is watermelon good or bad for my dog?